SIGN UP USING THE FORM OR CALL 909-623-2144. Pomona Animal Hospital is a full-service animal hospital whose mission is to provide the highest standard of quality and compassion in veterinary care for our patients and welcoming, informative, and supportive service for our clients. 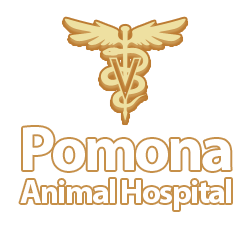 Pomona Animal Hospital offers the Pomona and surrounding cities emergency veterinary services in addition to standard medical, surgical, and dental veterinary care. Pomona Animal Hospital is offering Dental discounts during the month of February, 2019! Save 25% off of regular priced dental, 10% off of extractions (if needed), 10% off of medications (if needed). Contact us today @ 909-623-2144 for an appointment. Did you know we see exotic animals? Well we do. We see all except birds. If you have snakes, rabbits, hamsters, rats etc and they are not feeling well, please give us a call to schedule an appointment @ 909-623-2144 ! We want to meet you ! $ 20 off your first office visit. Your pet's happiness is our priority! Come in and see how our professional, experienced staff member make all difference. Applies to new customer ONLY. Not be to combined with any other offer. Enjoy the special prices on Sunday! Because We Love Your Pet! Our mission is to provide the highest standard of quality care for your furriest family member by educating you about the importance of preventative medicine.